A trait I inherited from my father is niceness. I’m a gal that knows no strangers. 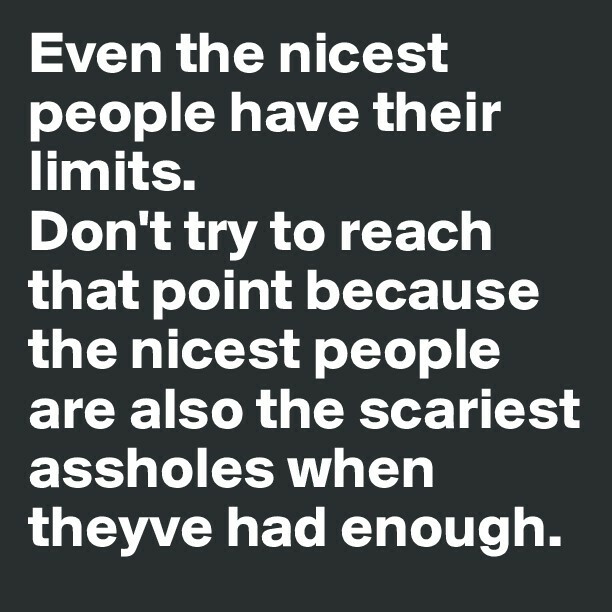 I’ve never understood the thought process of being a jerk first, then becoming nice as you get to know someone. It has nothing to do with karma, though I do believe niceness comes back to you. It has nothing to do with my faith, though I am a true believer. It has nothing to do with my southern upbringing, though I do believe in southern hospitality. It’s not something that was consciously taught to me, though I do believe we are for the most part a product of our environment. That being said, seeing my Dad always nice, even in subtle ways instilled in me to be the same. Always the kind of guy that relished in positivity, didn’t like for other people to dislike him, certainly didn’t want his children mad at him or my mom for that matter. He was the life of the party and everyone rejoiced when he walked in the room. I remember wanting to be that person. He was a terrible disciplinarian, though. Usually leaving that task up to Mother, and in retrospect I know why. He never wanted to be the bad guy. My dad was a lover, not a fighter. In the same turn, when pushed over the edge by anyone or anything that isn’t your children, the wrath is more than any mere mortal can bear. I thought, at that very moment, truer words had never been spoken. I had never read that before. I do realize this is from Dr. Who (after Googling it) so don’t chastise me for not being as big of a Whovian fan as you are… I don’t watch that much television. It’s just that this is so relateable. I’ve always been a happy person. I naturally think of silver linings in bad situations. I am the positive force against the negative. My mother likes to refer to me as “Bobble Head Beth.” Sure, I have faced one bout of severe post-partum depression and if you keep up with my blog, you’ll know I went through a blue phase following a few losses. We’ve all been there and luckily I was able to get out of it. And I really am. I’m trying to let go of all the things that make me sad. Even though there aren’t that many things, the depth of them can be overwhelming. I was lost in my sadness at Thanksgiving and spent a lot of time crying. (I sent 8 text messages on Turkey Day, 6 to family and the other 2 to my close friends. Only my 2 close friends replied.) Jose tried to dig it out of me, wanting me to talk about it, but again, I don’t like to talk about sad things or dwell on them, so I push it away and try to think of happy things. That bothers him, but it’s worked out pretty well for me for over thirty years. He doesn’t think I should suppress sadness. Maybe I shouldn’t. Maybe thirty years from I’ll need therapy, but for now, I’m doing just fine. 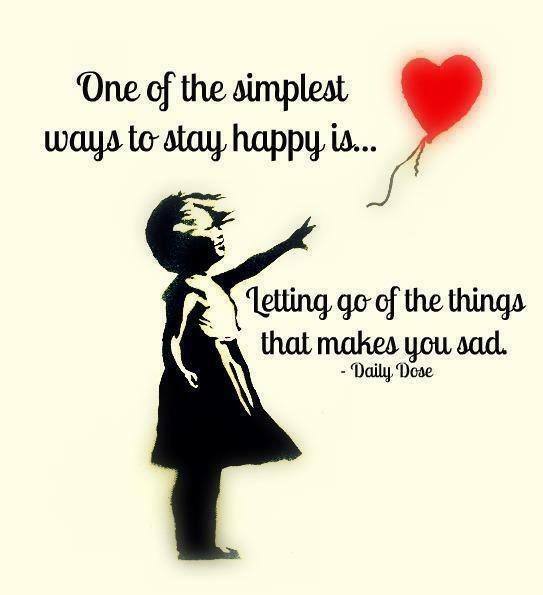 I’ve come to realize (thanks to the replies from my 2 close friends) that in letting go of the sadness, I have to let go of the things that cause the sadness. Does that make sense? If the people in my life I expect to be there for me most continue to let me down, then I need to change my expectations to keep from getting sad. It is evident to me that the people who have stood by me when I struggled, supported me when I was weak, and picked me up when I fell are the people that make me happy. They are the ones that keep me from my sadness so now they must become my priority. No longer will I have such high expectations for the rest. If and when they finally come through it will be a pleasant surprise as opposed to an anticipation. So I raise my glass… here’s to you, Jose, KellMo, Sherri, Greg, Angie, Paxton, Hannah, and my sister Kat. Those who didn’t judge the bad but instead praised me for the good. I thank you for my happy.